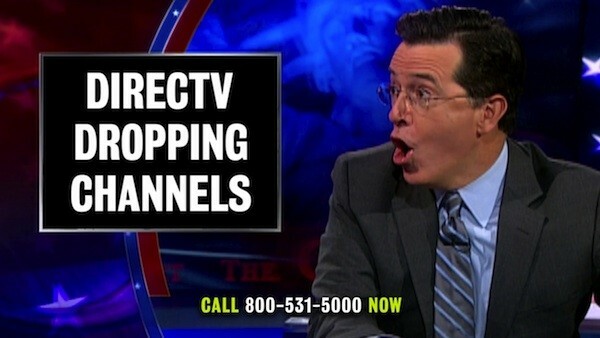 Fox | Ingrained Media, Inc.
DirectTV® subscribers might wake up tomorrow saying “I want my MTV”. DirectTV® and Viacom have been in negotiations and those negotiations came to a halt last night. DirectTV® claims they have made their final offer to Viacom and will be removing Viacom’s 22 channels (MTV, Spike TV, VH1, Comedy Central and Nickelodeon to name a few) at midnight tonight. Viacom claims that DirectTV® subscribers have made Viacom the most watched programmer and accounted for 20% of all of its viewing. They also claim that they are only paid for 5% of the viewing and the increase is justified. Wall Street has been talking about Viacom’s value being in decline. Cable and Satellite providers are under attack from streaming videos and Netflix. The ratings decline for networks like MTV and Nickelodeon it is creating a perfect storm for distributors to drop Viacom from its line up. A few years ago this would be unthinkable just based on Nickelodeon. UBS analyst John Janedis recently downgraded his rating on Viacom’s due to concerns related to ongoing ratings weakness. He wrote in his report: “We continue to think the concerns related to Netflix/Amazon viewing are overblown in the near-term, but from a content perspective, our sense is that returning series at MTV are under-performing, which will translate to further make-goods and a drag on ad growth in fiscal year 2013”. Why is this important to MMA fans? The loss of DirectTV® hurts the expansion plans of Bellator, who is in partnership with Viacom. Partnership really mis-states the relationship. Viacom owns a large chunk of Bellator. Bellator can’t jump ship the way the UFC left Spike, they’re stuck until sold off. Bellator goes where Viacom goes. Many thought the Viacom deal would allow Bellator to become the second largest American Mixed Martial Arts promotion. Suddenly Viacom itself is in danger of The Judgement by the market. With One FC’s ten year deal with ESPN STAR for Asian distribution and the DirectTV® Viacom deal hanging by a thread we may see One FC take the number two spot in the sport. Thinking that an Asian distribution deal doesn’t threaten Bellator’s North American position would be a mistake. The missing facts are: Victor Cui, CEO and owner of One FC, was at one time a senior director for ESPN STAR, and ESPN STAR is a 50-50 joint project between ESPN and Rupert Murdoch’s News Corp – the single largest media presence in North America, which includes, yes, FOX. The announcement came down this morning, and some will say it’s just “Another way big bad Zuffa is screwing the fighters”. In reality, it won’t be long until there comes a day that no sponsors will be allowed. Why? Mainly because these companies are not “sponsors” per say. They are ambush marketing televised events. The athletes are paid based on the televised exposure not based on the athlete. Our company has an athlete that is pro-firearm and has an endorsement deal with a small firearms training center. He is paid a monthly salary to endorse the brand and no logo placement is required. This is a true sponsorship to athlete relationship. MMA is full of great athletes with amazing stories to tell. The UFC is providing them a platform like no one ever has. It is not what you do on that platform, it is what you do with that overall opportunity that matters. How much of the interest generated will you retain? That is what managers need to be doing for the athletes they work for. They need to build platforms that enable them to sustain revenue and sell value to brands without the UFC exposure. You cannot guarantee the exposure in the UFC but you can guarantee leveraging the relationship and the exposure that may come. For the most part MMA sponsorships are about logo placement on televised events. The athletes and brands rarely have a connection let alone an activation strategy. Aside from a few pre and post fight mentions there is not much (if any) activation. Even the biggest names depend more on discretionary bonuses than endorsement deals. They are making more because they are at the top. When they begin to descend it will be interesting to see how many actually end up with a brand of their own that they own and can create revenue from. Very few boxers ever converted their brand as an individual and MMA has a long way yet to create an Ali or Foreman. It is not too late and these changes from Zuffa will only force the issue more. Stop just selling logos on shorts and start selling a brand building experience.